In a joint statement, Saudi Arabia, Bahrain, the United Arab Emirates and Egypt said the publication of the accord, meant to settle a previous dispute between Qatar and its Gulf neighbours, "confirms beyond any doubt Qatar's failure to meet its commitments and its full violation of its pledges." Saudi and other Muslim states have accused Qatar of supporting terrorism. Four Arab states sought on Monday to pile pressure on Qatar over charges it backs terrorism, saying the publication of a previously secret accord between Riyadh and Doha showed Qatar broke a promise not to meddle in the affairs of Gulf countries. The text of the 2013 agreement, whose existence was known but whose contents have never before been made public, was first published by CNN on Monday and later released on social media by Saudi officials. 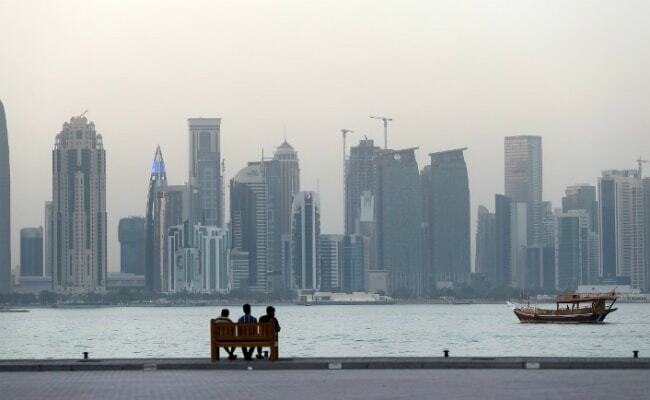 In a new round of tension with Qatar, the four states slapped sanctions on Doha on June 5, accusing it of supporting terrorism, cosying up to Iran, backing the Muslim Brotherhood - the world's oldest Islamist organisation, and interference in their affairs. The four say Qatar pledged to desist from interfering in its neighbours' politics in the 2013 agreement. Qatar has rejected the charges and said the four countries are trying to impose their own views on its foreign policies. The document surfaced as U.S. Secretary of State Rex Tillerson arrived in the region to help Washington's allies hammer out a way out of the crisis that has divided the region. Qatar officials did not immediately respond to a request for comment, but in a statement to CNN, Qatar accused Saudi Arabia and the UAE of breaking the spirit of the Riyadh agreement and indulging in an "unprovoked attack on Qatar's sovereignty." In response to CNN questions, a Qatari spokesman said in a statement that it was Saudi Arabia and the UAE who "have broken the spirit of the agreement." "A full reading of that text will show that the intent of the 2013/14 agreements was to ensure that sovereign GCC nations be able cooperate within a clear framework," said Sheikh Saif Bin Ahmed Al-Thani, director of Qatar's government communication office. The 2013 agreement, reached at a meeting in Riyadh hosted by the then Saudi King Abdullah bin Abdulaziz, was signed by the Emir of Qatar Sheikh Tamim bin Hamad al-Thani and Kuwaiti Emir Sheikh Sabah al-Ahmad al-Jaber al-Sabah, while an implementation mechanism was signed by the six GCC foreign ministers. In the document, the parties agreed to refrain from supporting any "political currents that pose a threat to any member country of the (Gulf Cooperation) Council", and provides for Muslim Brotherhood leaders who are non-GCC citizens to leave the area. Kuwaiti mediation efforts hit a snag last week when the four Arab states said they were disappointed with Qatar's response to a list of 13 demands they had presented. Qatar said the demands, which included ending support for militant groups, the closure of the Al Jazeera satellite channel, shutting down a Turkish military base in Qatar and downgrading ties with Iran, were an infringement of its sovereignty.